Camp Doré is located at the Key River 45 miles north of Parry Sound on the west side of Hwy. 69 with access to the Georgian Bay. We offer a variety of services including boat launching and parking for up to 150 vehicles, season docking for 60 – 70 boats as well as inside or outside summer storage. Winter storage is also available for your boat either inside or outside services are available plus shrink wrapping available for all sizes of boats at $10.00 per foot. We also rent boats, sell fuel, worms, ice, drinking water, water taxis out as far as the Bustard Islands transporting kayaks and gear as well as ground transportation to and from other destination. Ie Pickerel River, Hartley Bay or Britt. Come for a relaxing holiday and stay in one of our 6 authentic log cabins and enjoy all the modern conveniences while relaxing, swimming or fishing. These authentic cabins were built in the 1930’s and are exceptionally maintained and clean. They are nestled amongst towering white pine, birch and spruce trees and surrounded by beautiful gardens. 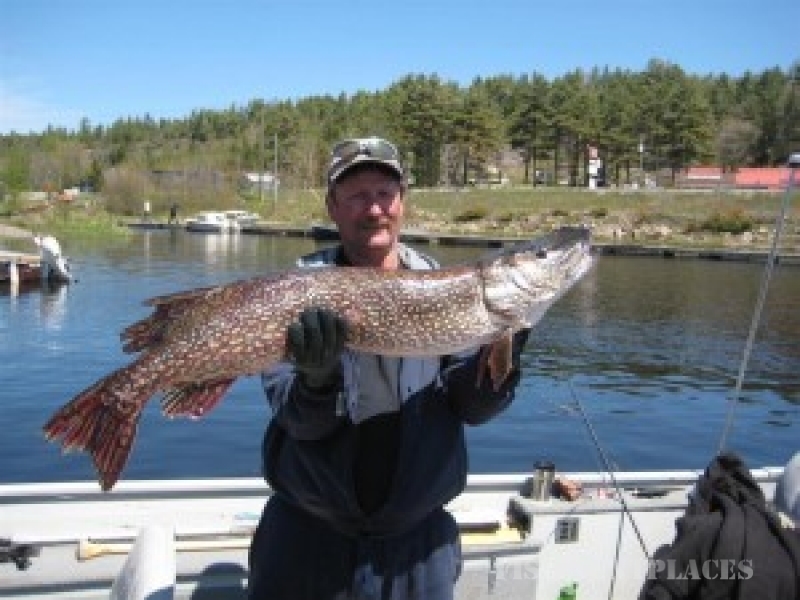 There are many game fish located right at our our door step including Muskie, Northern Pike, Walleye, Bass and several species of pan fish. A fish cleaning house is located at the docks for your convenience.